As the unstructuring or, as we'll call it, the destructive deduction unfolds, it shifts toward a creative induction to stop the trend toward disorder and chaos to satisfy a goal-oriented need for increased order. Paradoxically, then, an entropy increase permits both the destruction, or unstructuring, of a closed system and the creation of a new system to nullify the march toward randomness and death. - COL John Boyd, 1976. A central theme of John Boyd's Destruction and Creation, from which I quote above, is the contrast between synthesis and analysis. As I study this paper, my mind (oddly) applies much of his ideas to human leadership and management theory. One of Boyd's main arguments is that creation is movement from the specific to the general; destruction moves from the general to the specific. Essentially, a creator takes parts and builds something new, whereas a destroyer takes the whole and deconstructs it into its parts. Leaders are those who create, build, and synthesize. Not always something tangible or physical - sometimes an idea, a concept, a simplification, or a relatable story. 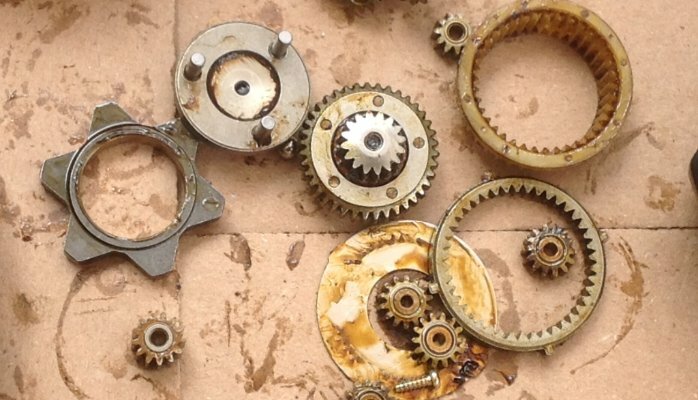 Managers, on the other hand, are those who destroy, take apart, and analyze. Not in a malicious sense - but with a curious desire to discover the efficiencies, complexities, and details contained within. Leaders have the vision....the big picture...the goal. They see what is possible. They look up to generalists who connect-the-dots. Leaders embrace The Why. Managers are the ones who make it happen. They ensure the project isn't lost in the details. They rely on hyper-specialists with great depth and expertise. Managers delve into The How. 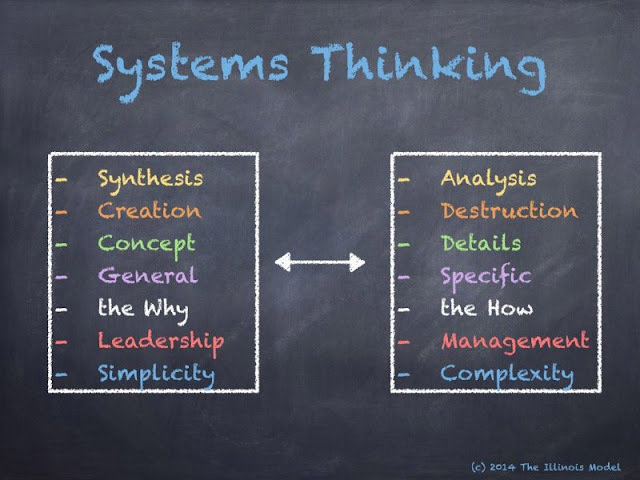 In both mechanical and theoretic senses, I'm very much a systems thinker. I have been a tinkerer most of my life. Whether taking apart the proverbial "toaster oven" or designing training curriculum for SWAT police officers, I'm equal parts synthesist and analyst. In one of my biggest professional projects, The Illinois Model, I've been riding the pendulum back and forth between creation and destruction. I've come to terms with needing to be both leader and manager. Many of the same "tools" used for building it are the same ones used for taking it apart - ideas of communication, delegation, collaboration, universalism, and cross-pollination. Leadership and management. Creation and destruction. It's almost as if you can't have one without needing the other. Do you see the same connection between leadership-synthesis and management-destruction? I'd love to hear your thoughts. Lou Hayes, Jr. is a police training unit supervisor. He studies human performance, productivity, emotional intelligence, and adaptability. Follow Lou on Twitter at @LouHayesJr.